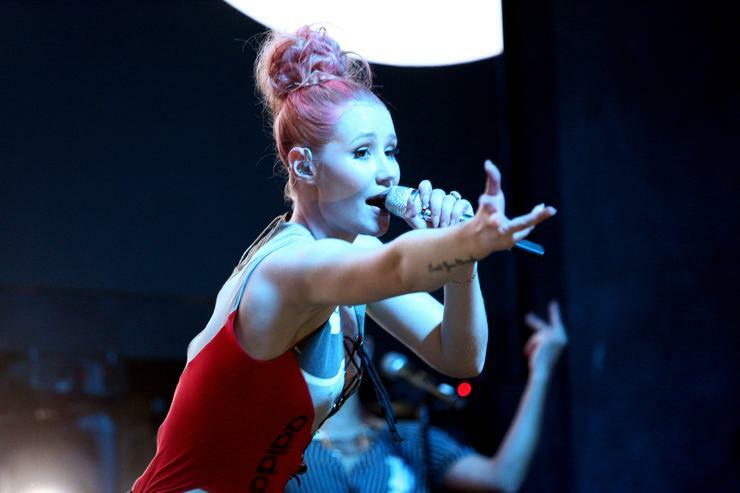 Iggy Azalea is being sued by a skateboarder who injured himself when a car owned by the rapper ran him over. The timing of the lawsuit is anything but timely, Azalea was recently forced to evacuate her Los Angeles home due to the State-wide wildfires. It turns out Iggy Azalea is culpable for the skateboarder’s injuries even though she wasn’t behind the wheel. The incident took place in November 2016, when Jeffrey Linett was in the midst of a “skate session” in West Hollywood, when French Montana’s little brother Ayoub Kharbouch slammed into him, driving Iggy Azalea’s car. Although not readily apparent at the time, Linett later learned that Iggy was the rightful owner of the 2015 Jeep Wrangler Khabouch was driving, thereby making her responsible for the pending injurious claims. Linett claims that Kharbouch was too busy “Snapchatting” to notice him on the road. Understandably, Linett is also seeking damages from Ayoub, for “severe personal injuries,” and lingering emotional anguish. Iggy Azalea and French Montana dated in 2016 when the accident occurred, although it took some pleading and begging for the Aussie to admit it. Jeffrey Linett will have to convince lawmakers he was within the limits (very limited) of the law afforded to skateboarders (at large).